In our last blog post, we discussed our preference for RemoteLink as a RemoteWare end-of-life solution. Learn, in more detail, about four key RemoteLink features that make it an optimal data movement system for businesses of any size. Be prepared for SAP RemoteWare end-of-life and take a behind-the-scenes look into Unwired RemoteLink software. 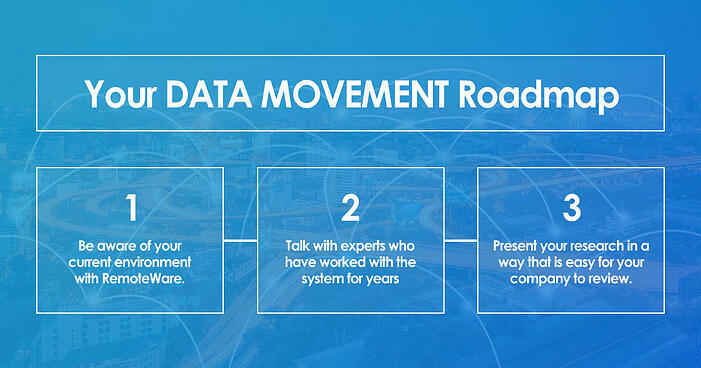 Remember, switching to a new data movement system is an involved process that requires finding the right system for your business, and getting approval from upper management. RemoteLink is an excellent option to replace RemoteWare. It's written in the same language, which simplifies the transition from RemoteWare to RemoteLink. You have the ability to scale your RemoteLink system to match the needs of your business. RemoteLink offers additional cost-saving benefits.